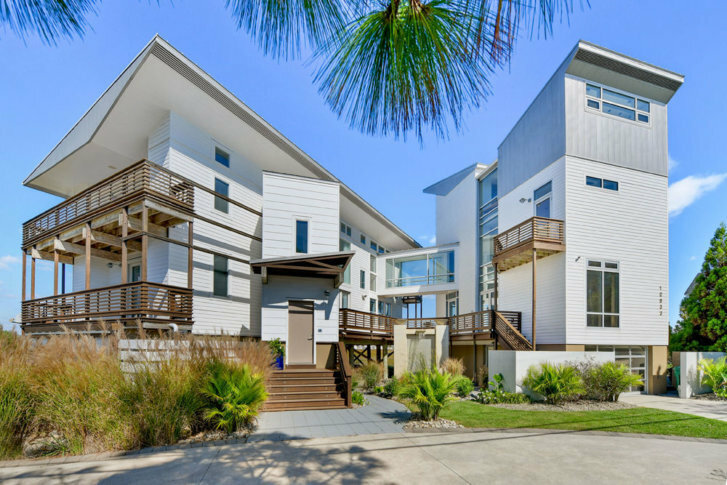 A multimillion dollar house designed with fishing in mind has hit the market in Ocean City, Maryland. The house is listed by Coldwell Banker Residential at $3.59 million, and is located at 12933 Old Bridge Road in West Ocean City. It provides distant views of the beach and the boardwalk. With five bedrooms and 6050 square feet, this house is full amenities. It has a fitness center, multiple decks, a saltwater pool, a putting green and more. According to the Washington Business Journal, the house was originally two houses that were renovated and connected by sky bridge by the designer and owner, Roy Schwalbach. The house cost $5.2 million to design, Shwalbach told the Journal.